JaneHoward - Free Hosting Sites Vs. Self-Hosting; Which Is Better for Your Blog Site? Free Hosting Sites Vs. Self-Hosting; Which Is Better for Your Blog Site? If you are always visiting the internet, you might have encountered the word "blog" many times. The term blog comes from the term weblog. It refers to delivery of information through the articles of bloggers which are posted on their blog sites. People who wanted to look for details on a particular product, services or tips for certain topics goes to the blog site to read blog articles. These articles are works of bloggers which are regularly posted to keep the target audiences updated. The display of blog posts is in chronological order to let the readers know about any latest trends in media, business, healthcare and many more. Blog writing is quite a challenging task. An individual who is wishing to become a blog writer must understand the value of the job to offer the best services to target audiences. However, even experienced writers have difficulty in writing because of writers block and absence of motivational support. Despite all of these, many still want to continue this career because of its reward and capacity to enhance a person's writing prowess. Most people who plan on learning on how to start a blog are confused about free hosting sites from a self-hosting site. There are numerous hosting services on the web. These hosting sites are companies which can make your blog visible on the internet. These programs save your updates and blog posts every time you run the site. Now, when you look at the internet and search for hosting sites, there will appear two types of hosting services - a free hosting and a self-hosting site. If you are a blogger who wants to explore his/her fate in this career, using a free hosting site is preferable. There are excellent free sites like Wordpress and Blogger. These sites are easy to manage and monitor. 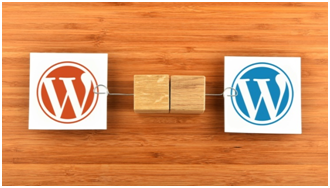 Moreover, they can make your blog look creative with their available features. However, free hosting sites have a few drawbacks. · One, it appears unprofessional because of the tag along with the name of the hosting site. It looks like you do not own your blog instead it appears as a property of the hosting service. · Two, you do not have control over the blog site. This becomes a problem especially if the number of your audience is starting to grow. Free hosting has limited functions and plugins. Hence, instead of giving convenience, it may cause trouble for the reader. If you want to put in more features to your blog site, using self-hosting is suitable. This type of hosting invites more control on the site. Hence, a blogger can decide on its layout, seo, advertising technique and other functions. Furthermore, it is more professional since you can choose your domain name. However, the disadvantage with this type of hosting is the payment for the program. Do you want to learn more regarding the best writing tips in blogging? Go to Blog Basics - the country's leading site which provides the best free blog sites and platforms available in the market and the internet.